Orcas of Monterey Bay…..Finally after many years of searching, we found Orcas! 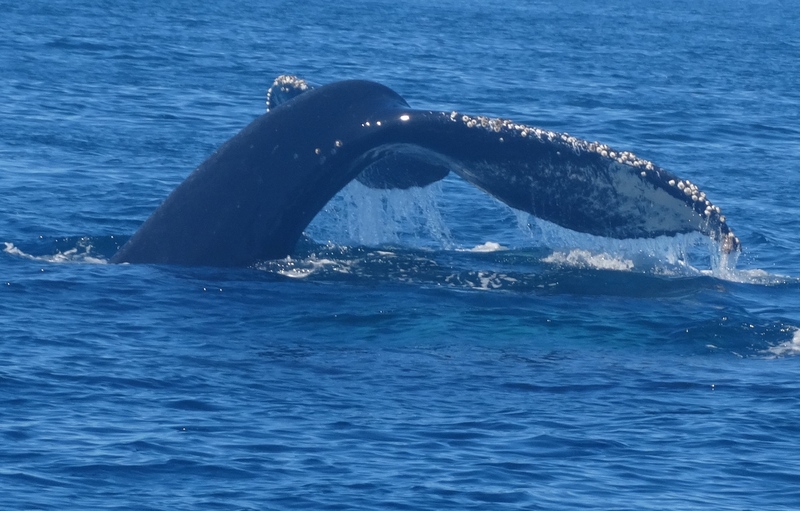 32 women on our private Blue Water Ventures charter with Sanctuary Cruises got to witness an unbelievable show! Several pods of Orcas, also known as killer whales had converged together south of Moss Landing. 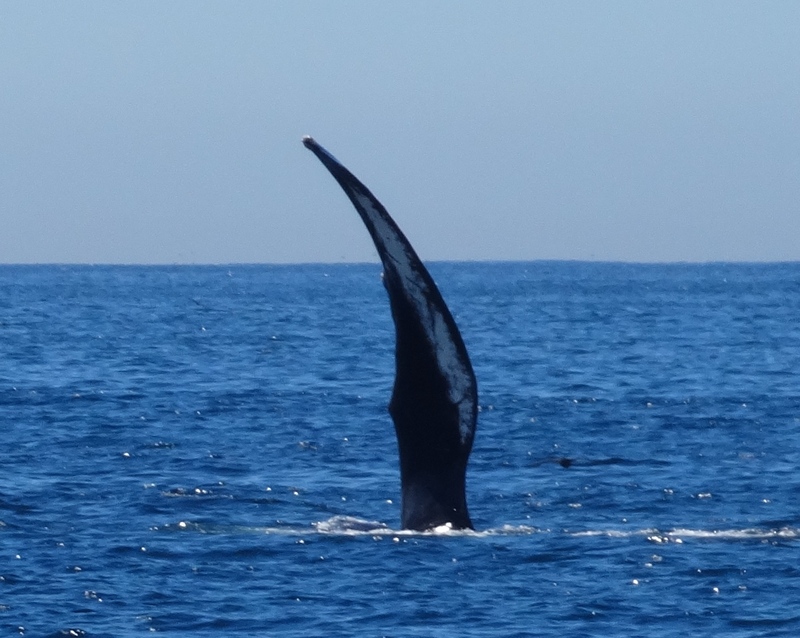 Thanks to the amazing crew at http://www.sanctuarycruises based in Moss Landing. 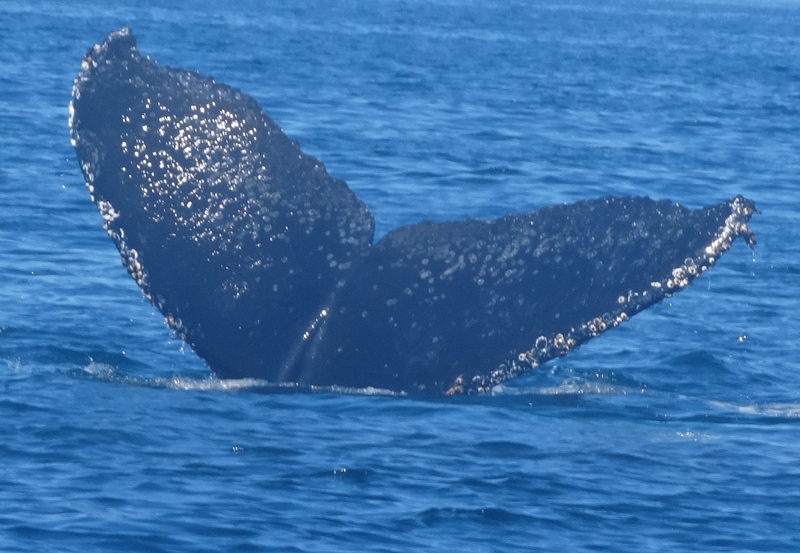 Join our next adventure in search of sea otter pups and baby gray whales next weekend at http://www.bluewaterventures.org! What an extraordinary day on the Bay! 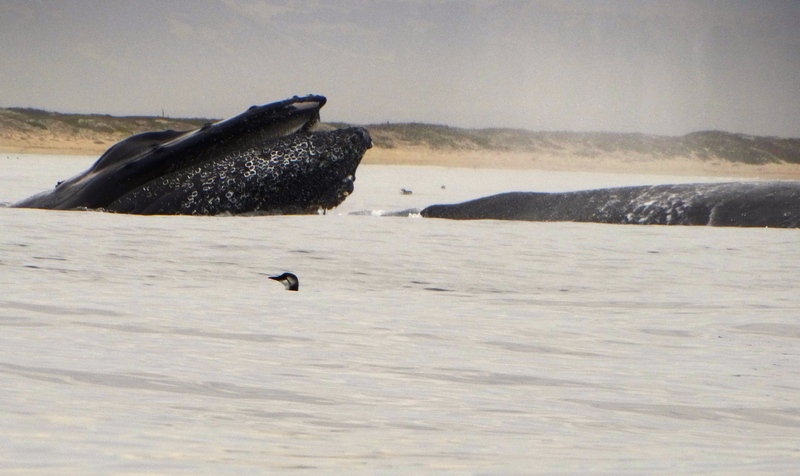 The whale activity continues to be awesome and I would recommend a camera with a good zoom! 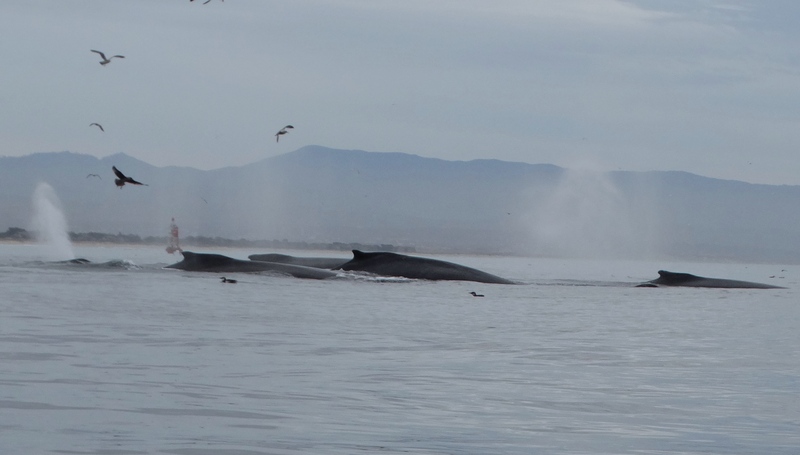 Keep adjusting your position and be alert to changes both in weather and whales. Paddling in the fog is treacherous and motorboats can’t see you. Viewing wildlife from from our beaches is excellent now or paddle with an expeirenced partner or guide. It’s busy out there and not for inexperienced boaters. In fact, in the last 3 weeks we’ve heard reports of paddlers getting into trouble, hoping to get out to the whales. The supermoon brought extreme tidal changes with a dangerous ebb flow out the harbor mouth where boaters dumped and were flushed out to sea. 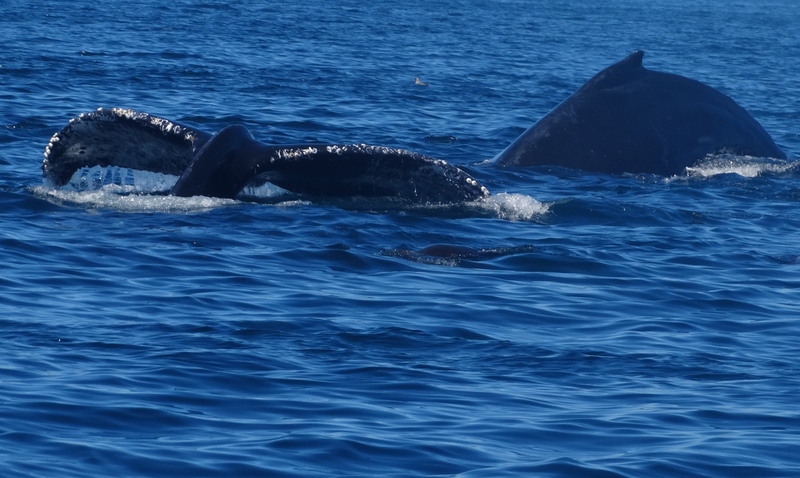 The humpbacks are diving to feed at depth as well as lunge feeding at the surface. Using their plates of baleen that hangs from the upper jaw, they filter out their prey of choice, currently anchovies. The cliffs above Mitchel’s Cove, West Cliff of Santa Cruz still has regular visits by ” Mitch” a humpback whale who will lunge feed in 10 feet of water, 30 feet from shore! People are lining up on shore for the best view ever and its free!